Technology is the word most discussed between the youth and Tech geeks. So today I am going to provide you world’s Top 10 Website/Blogs on technology where you can find all the things related to current technology and news. Many websites & blogs become popular by giving the latest and authentic information about technology news and new gadgets and mobiles reviews.This is the time where you have to update with all the current technology and upcoming technology to update yourself. TechCrunch Holds first position and popular website for providing quality information about technology news and gadgets review. Tech Crunch is one of the leading and constantly growing technology media on the internet as well as one of the most famous technology blog online in 2015. Mainly this provides articles related to internet portals, latest tech product reviews and news etc. TheNextWeb is another growing and leading blog on the web which provides technology stuff on the daily basis to internet users worldwide. Most time it posts guides and topics related to business, culture and technology with strong information. Mainly it publishes useful articles for upcoming gadgets with their review and pros and cons. It is highly recommended to must read and visit this website for next generation gadgets as well as current gadgets. The most Shocking thing is that it receives seven million monthly visits and more than ten million page views per month which are a great bunch of visitors. 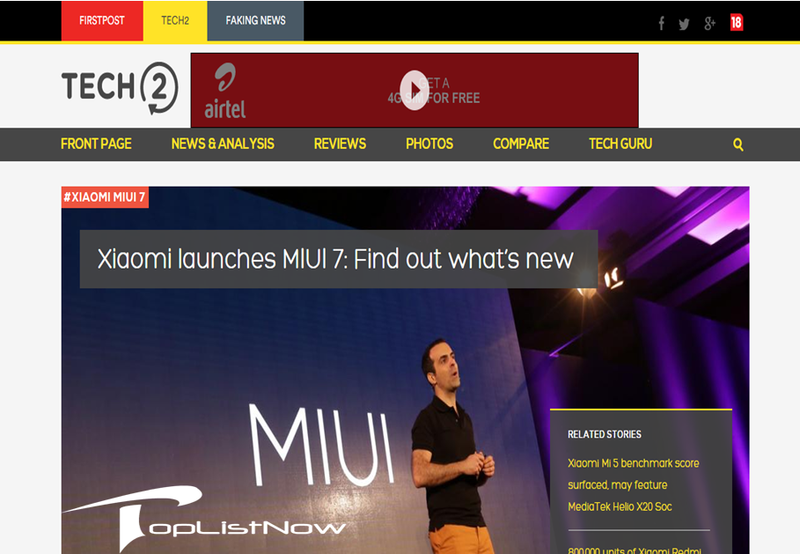 TECH.FIRSTPOST.COM mostly shares articles and guides related to new gadgets such as TV, mobile, tablets, laptops and gaming devices with others thing also. Apart from this it also covers podcasts, videos and photos related to the latest technology trends review. Also, it comes really handy for comparing websites or new gadgets at the same time on this website easily to check the status of the website. You will surely be going to get a lot of valuable information through reading this website on the daily basis as this website post very first post on the internet of everything. Wired.com is fourth most popular tech media on the internet providing news related to latest trends of technology and information about latest gadgets. It publishes very helpful guides related to the latest or upcoming gadgets, science, entertainment, business and design etc with which you can get enough knowledge to update yourself. If you visit this website, you will surely be going to love Wired.com because of publishing quality stuff every day and every post. 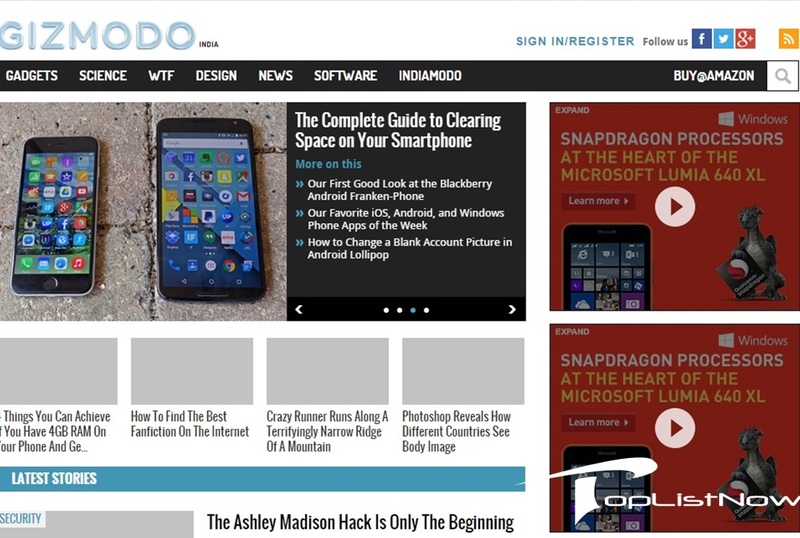 Gizmodo.com is 5th rank another leading source on the internet which mostly covers gadgets related news and guides and is one of the best online portals for gadgets lovers to search the latest gadget. It mainly covers the latest news related to gadgets, pros & cons of gadgets and also tutorials relate to the gadget to how to use it. If you are a gadget lover so this website really worth’s and you must need to check out this website for finding latest and upcoming gadgets and tech news. MASHABLE.COM is 6th rank in popularity of technology website. Most of you might have an idea or know about the one of the top and much famous technology blog on the internet which covers latest technology news, gadgets, science and interesting stuff and provides helpful guides to the internet users as normal. The main part of this website is that you can also check out videos related to latest technology news which make this website more friendly for technology lover. This receives around more than 20M unique visits per month and has more than 6M social media followers. 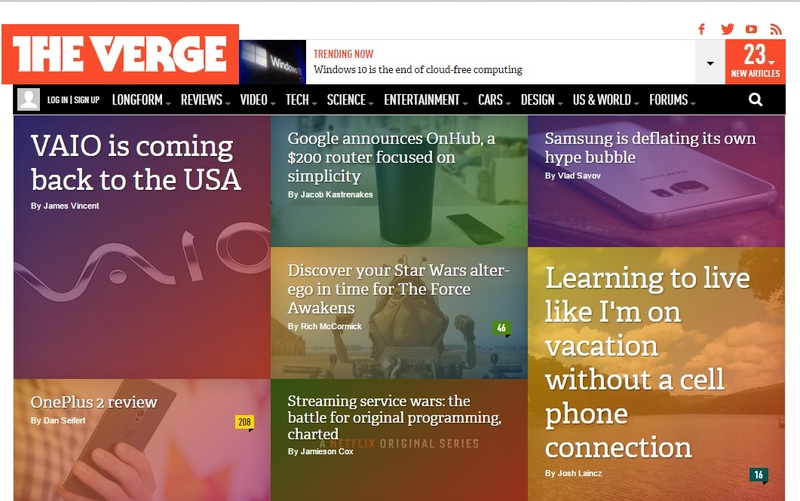 Now TheVerge comes on 7th rank in the list.The Verge is another most popular and famous technology blog for tech lovers which are mainly interesting in reading tech news, product reviews and products information daily to update yourself. TheVerge shares interesting guides about the technology and how it affects the society. At number 8th comes the DigitalTrends.It is another largest hub of technology, computer gaming devices and interesting lifestyle guides and the best place for find gaming solutions. It also covers guides related to music, cars and photography etc and sometimes writes about the Apple news as well to update all user around the world. 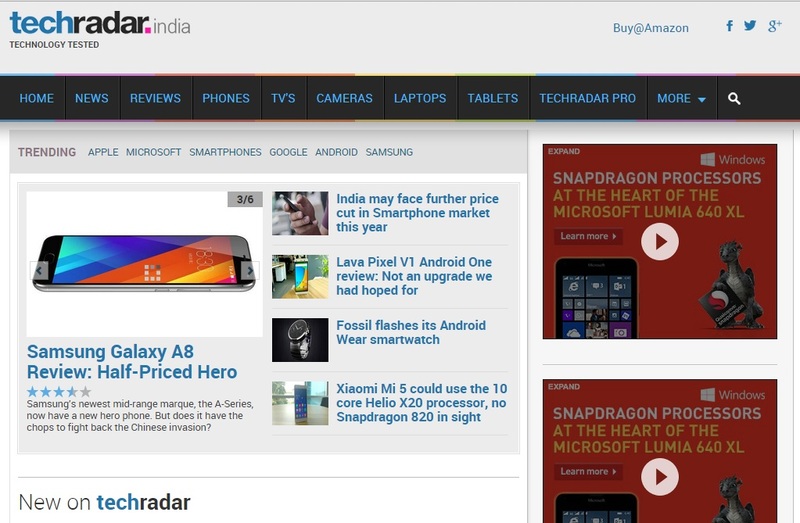 TECHRADAR.COM is also popular technology news and gadgets related website on the internet. It rates the different kind of Smartphone devices, mobiles as well as tablets also. The best thing is that if you are an android lover, then this website also publishes android related news and guides on the website and it regularly posts the best android application to make life easier with their smartphones. 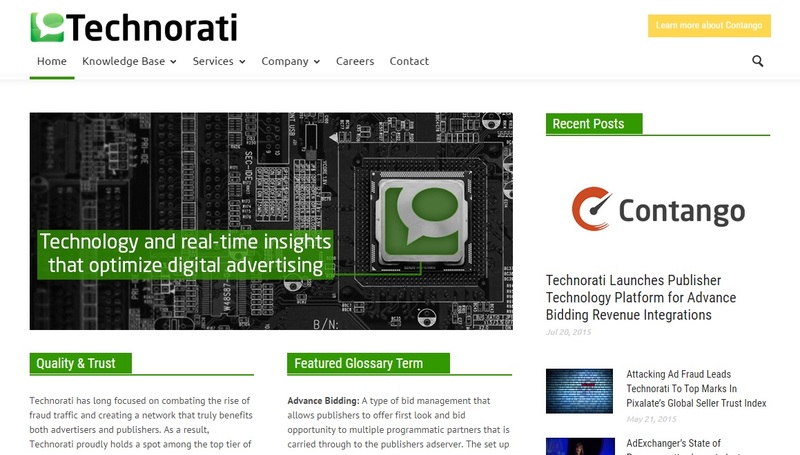 At rank 10 Technorati is the best technology website. It is useful and most popular technology website in the world of internet which helps bloggers and tech blog owners to get more views on their website and provides a lot of quality technology guides and news with reviews of gadgets. Apart from this it also covers guides related to android, apple, gadgets etc and much more which will shake your mind.